A cash only budget seems like a foreign idea, right? After all, we are so used to using credit all the time. In fact, Americans are notorious for our use of credit cards. According to statistics, 200 million Americans are currently using credit cards. That is 80% of the American adult population who have the means to use credit for all sorts of purchases. There is really nothing wrong with using credit. However, it is very easy to abuse it. We use it like it is an extension of our wallet. The convenience that it brings can easily make us overspend – which is really a bad thing. If you are not careful, you might end up accumulating so much debt that you will find it hard to pay it all back. This is why some people find it wise to use a cash only budget. We have always been torn between using cash and credit. To be honest, there are pros and cons to using both of them. This is probably why a lot of people end up using them both for selected purchases. While this is the ideal way, there are certain instances when using cash alone can help you advance your financial situation. Despite our every intention to live in a cashless or less-cash society, reports reveal that cash is still in demand around the world. It became stronger when the Great Recession happened during the first decade of the 21st century. People saw the danger in using too much credit that for a time, they preferred to use cash. If you think about it, a cash only budget can help improve your financial position. There are a couple of reasons why. First of all, it teaches you the right spending habits. 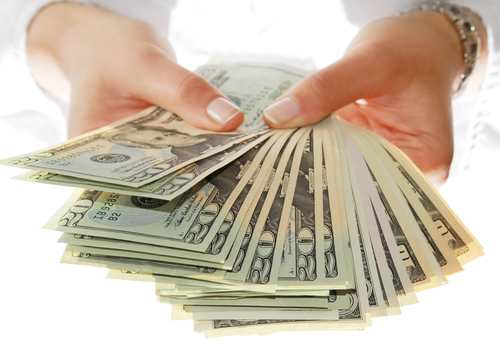 A cash payment can change the way you use your money. People believe that it is harder to spend cash than credit because the physical manifestation of the money will make it hard for you to part with it. When you look at cash, you are reminded of the real value of what you are spending. But if you use credit, the actual money is not in your hands. Everything happens in the digital world and you do not see the value of your purchase. That means holding the cash in your hands while making a purchase will make you feel the emotion that comes with parting with it. That will make you more cautious about spending and it will make you think before you proceed with it. Another reason why a cash only budget is beneficial is the fact that it forces you to stick to your budget. Simply put, if you run out of cash, that is it for you. There is no more money for you to spend. When it comes to credit cards, you do not have that restraint. You can keep on spending as long as you do not reach the limit of your card. That means you can easily overspend. But with cash, there is no danger of overspending. This makes it easier for you to arrange your budget so you have extra money at the end of the month. A cash only budget makes it easier for you to reach financial goals – like paying off debt. When you learn the right spending habits and you are forced to stick to your budget, it is easier for you to get extra money at the end of the month. 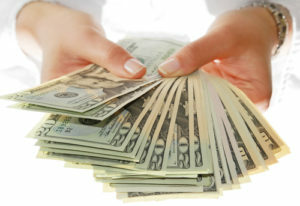 This money can be used to help you pay for your various credit obligations. The faster you can pay off your debts, the better it will be for you. It will lead to lesser interest payments and more savings for you. Of course, changing into a cash only budget is not as easy as you think. The process is simple, that is not the issue. The problem lies in the sacrifices and changes that you need to accomplish for you to transition into the new budget properly. To make it easier, here are the steps that you need to follow. Start by being clear about why you are doing this. We mentioned that there will be a lot of changes and sacrifices when you do this. If you know why you are doing it in the first place, it will be easier for you to motivate yourself despite all the sacrifices that you have to go through. Not only that, this knowledge will help you determine how your new budget plan will be formed. Once you know why you need to change into a cash only budget, your next step is to look at the current one. To be specific, you should look at the categories in your budget. There are those that you can immediately switch to cash – like your food and groceries, entertainment, and even clothing. If you know that transitioning into an all-cash lifestyle is hard, you can do it slowly. Focus on the categories that you need to control – or having a problem sticking to the budget. The areas that you do not overspend on can remain untouched. There are many options for you. The most common cash only budget strategy uses an envelope. You literally get envelopes, label them based on the categories that will use cash and put the cash in them. If you need to spend on a category, you will only get from the appropriate envelope. When it runs out of money, then you stop spending on it. If you will use the envelope method, you should also set a schedule when you will withdraw the cash from the ATM or the bank. Make sure you ask for the specific number of notes that will be placed inside the envelope. Once you have all of these set up, you can stop using credit. You should stick to using cash. If you have debts, you need to continue paying them off. But you should not add to it. Whether the cash only budget is permanent or not, you need to put your credit cards aside. Keep them where you will not be tempted to use them. It is also important for you to set up a system that will help you track your spending. The good thing about credit cards is that the statements will reflect all the financial transactions. When you use cash, there is no paper trail. You have to do your own tracking. You can keep a notebook with you to track your expenses. Or you can keep all the receipts. You can also download an app that will allow you to track all the cash transactions that you will make. To succeed in using the cash only budget, you have to make sure that your shopping errands are planned. This will give you the chance to check if your money is enough. Not only that, it will help curb any impulsive buying habits that you may have. According to reports, consumers spend $5,400 a year on impulse purchases. That amounts to $450 per month. Imagine if you planned your spending and avoided these impulse buying transactions. You could have saved that amount to be used on something that can improve your financial position. As you can see, using a cash only budget is not really that hard to do. You just have to make sure that you can commit to it – regardless of the sacrifices and changes that you have to go through. Once you have mastered the spending habits that you need to learn, you can choose to start using credit again. This time, you will be more comfortable doing it because you know that you will be responsible for dealing with it.